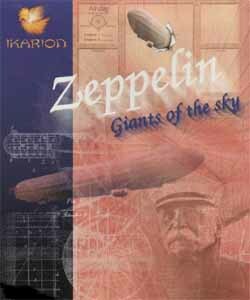 Zeppelin: Giants of the Sky is an educational strategy game released in 1994 by Ikarion Software GmbH. Zeppelins were the sky's biggest aircrafts ever. So - have you ever thought about managing a fleet of them? In Zeppelin this is just your job. Invest in new technologies, build airships for several nations, find new flight routes and win the race with competing companies. You can participate in flying competitions, take on special missions (such as time critical assignments), speculate at the stock-market, etc. The game also contains precise historical material; political and economical developments strongly influence the storyline. Deliberately Monochrome: This is taking place in the early 20th century. Tech Tree: Scientists will invent new airships.